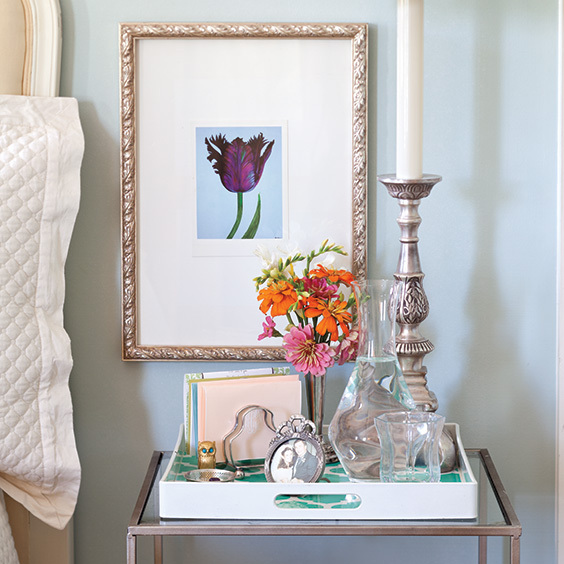 Make a decorative statement on any tabletop by adding a tray to display and organize a mix of your favorite things. Trays are some of those everyday items that you think might not have a purpose outside of serving guests while entertaining. 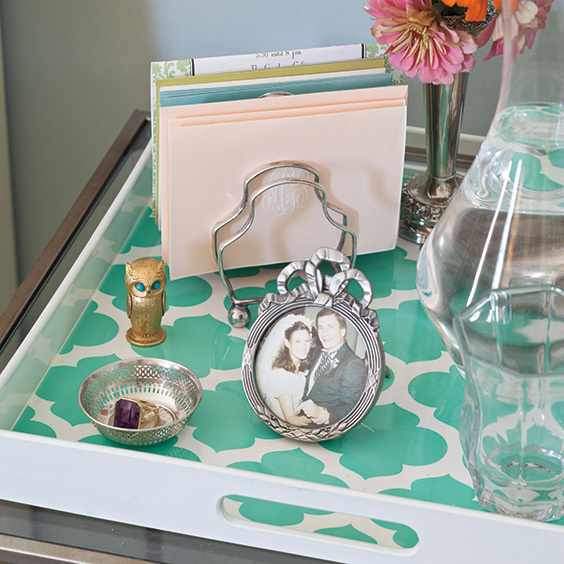 But as you’ll see here, organizing and decorating with trays can solve a multitude of problems. From a large catchall at the front door to a small one placed on your vanity, trays work incredibly well for corralling items that once appeared to be clutter. They also add color and a nice layer of texture and pattern between surfaces and tabletops, lending a decorator’s touch to the space. Now you can rethink the many ways of decorating with trays. And instead of getting rid of trays, better yet, start a collection of them when scouring through antiques shops and garage sales. You can never have too many, and you’re sure to find a clever spot to put them to work around the house. 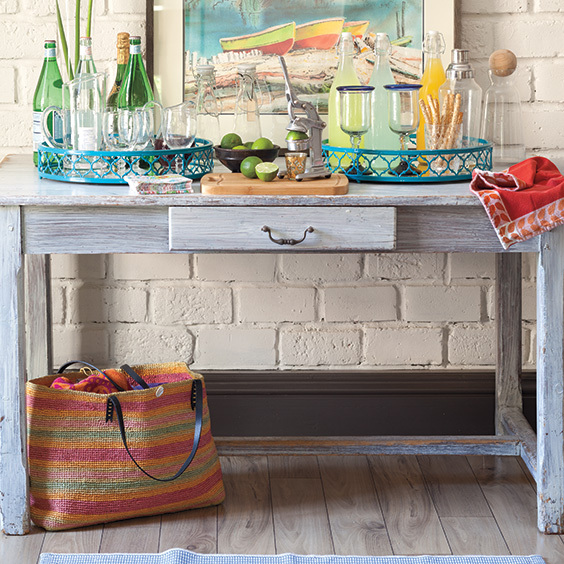 Using two identical trays turns this table into a refreshment center. The hostess can also easily pass them around for refills and then return them to the table. 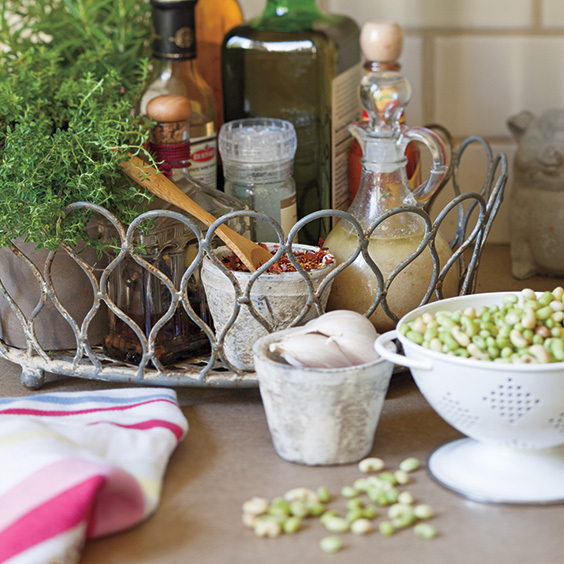 This decorative tray is quite functional in the kitchen as a gathering spot for fresh herbs, oils, and spices. 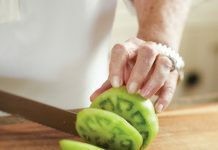 It can also be easily transported closer to the cooktop when preparing a meal. Silver trays polish up nicely and add a feminine touch to any vanity top. Fill one with perfumes and flowers in your guest bath. 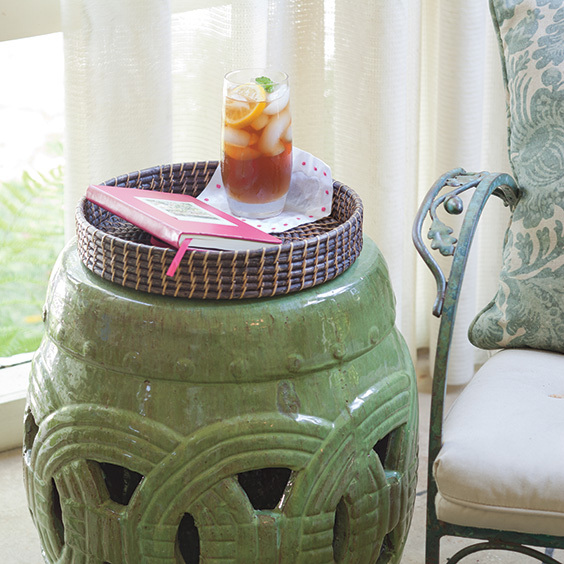 Ceramic garden stools are a fun trend and can be transformed into a side table by placing a tray on top. 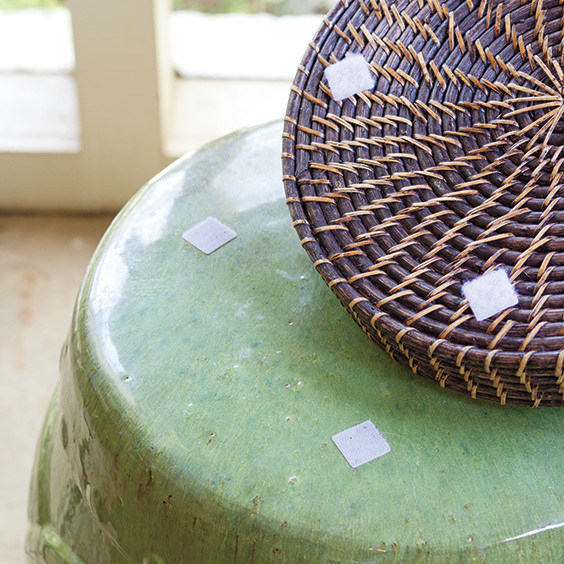 Slick surfaces are a risk for glasses and dishware, so find a tray that proportionately fits the top of the stool and secure it using small strips of Velcro. Attach four pieces on both the tray and the top of the stool to firmly hold the tray in place.